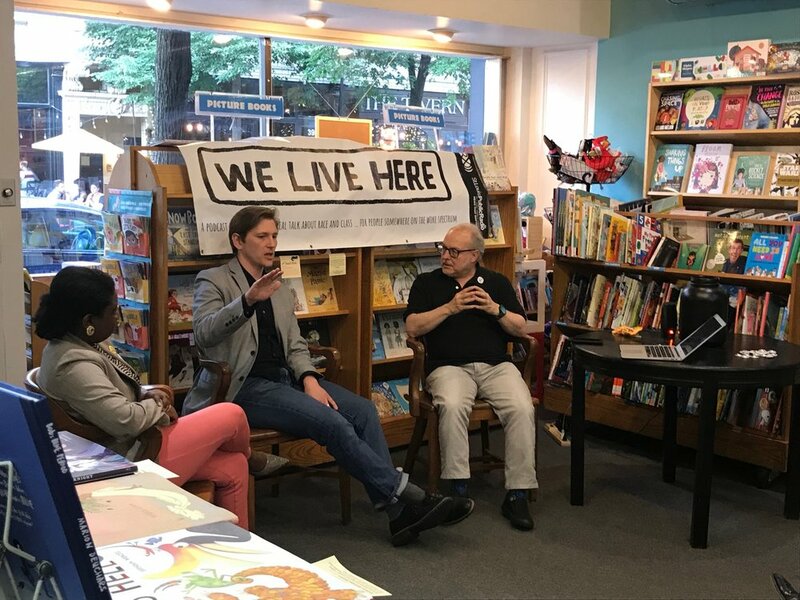 The members of CWE Radiophiles, a podcast club, invite you to join "We Listen Here" an in-depth discussion with We Live Here hosts and producers Tim Lloyd and Kameel Stanley about the show's fourth season, May 24, from 7:00 p.m. to 9:00 p.m. at Left Bank Books (399 N. Euclid, St. Louis, MO 63108). We're thrilled to share this exciting opportunity to hear from Tim and Kameel about their St. Louis-based podcast addressing the issues of race and class in our own backyards. CWE Radiophiles is a community-organized assembly devoted to podcast education and exploration. Those of open ears and open minds come together to dissect, devour and discuss new ideas inspired by monthly podcast selections. We will broach an array of topics and genres from the vast selection of exceptional programming provided by this booming toast to traditional radio storytelling.